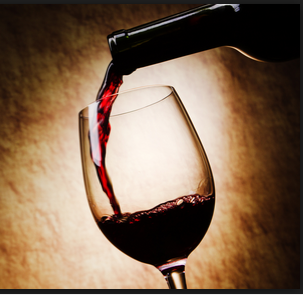 Could a Glass of Red Wine a Day Help to Prevent Hearing Loss? They say that an apple a day keeps the doctor away – and, in fact, an apple a day may actually help to prevent hearing loss, but we’ll get to that in a moment. Right now, let’s address the topic at hand, namely that a glass of red wine a day may actually help to protect your precious hearing. According to a study published in Otolaryngology-Head and Neck Surgery, resveratrol – an antioxidant that is essential in combatting the effects of aging and disease – may also help to ward off hearing loss. In an experiment involving two groups of rats that were exposed to loud noise, the group that was given resveratrol supplements experienced significantly less hearing loss and a 90 percent reduction in the factors that can contribute to hearing loss, including free radical formation, than the group that was not given resveratrol supplements. While this experiment was conducted on rats, study lead author Michael D. Seidman, MD, director of the division of otologic/neurotologic surgery at the Henry Ford Health System, believes that the research can probably be applied to humans, as well. That leads us back to apples and other foods that are rich in antioxidants. Apples contain quercetin, an antioxidant that is essential in the fight against free radicals. The connection between free radicals and hearing loss was first demonstrated in a study led by Dr. Seidman in the mid-2000s. So, indeed, an apple a day may keep the doctor – and hearing loss – away. Other foods that are rich in antioxidants – broccoli, spinach, asparagus, lentils, dried beans, eggs, bananas, liver, and nuts – can also be useful in the fight against free radicals. With or without research studies, common sense dictates that a healthy diet is fundamental to a healthy body. We truly are what we eat. The healthier your body, the more likely you are to preserve your valuable senses – including your hearing – over the long term. For further information about the relationship between nutrition and hearing, or to schedule a comprehensive hearing test, please contact Los Gatos Audiology & Hearing Aid Center today.